Give a Gift this Christmas! Christmas is a wonderful time of year spent with family and friends. Unfortunately, many individuals do not have anyone to celebrate with, and some have never celebrated Christmas. 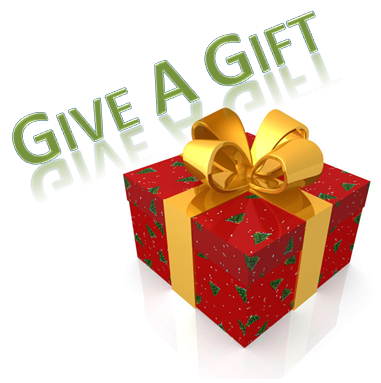 Help us make Christmas special for our guests this year by buying a gift for a man in need! We ask that all gifts be new items, as we want our guests to feel important, valued, and most of all loved. Please do not wrap the gifts as we will sort them and wrap them ourselves. Thank you! All gifts can be dropped off at Hope Awaits Ministries Mon-Fri between 1:00 p.m. and 6:00 p.m. Thank You for making this Christmas special! If you have any questions about the Gift A Gift program please contact us.